Inspired by our best selling office desk. This design is now available in multiple colors. 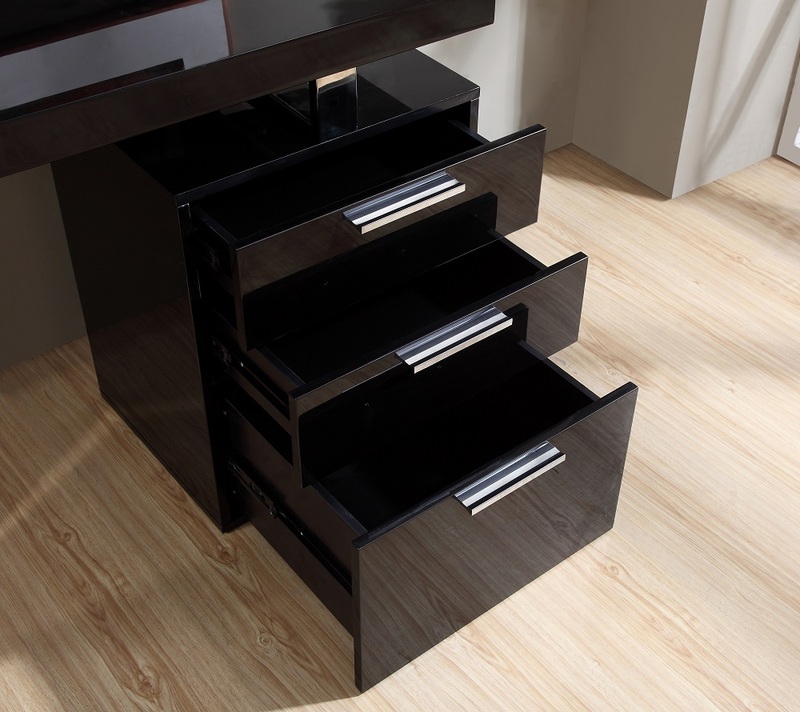 These desk feature a smooth blend of functionality & modern design that can be set up for multiple uses. These desk offer a simple enough design that can serve as a great transitional piece, or bold accent to compliment any room. This piece is Now available in white gloss, black gloss, grey gloss, Walnut Veneer & Wenge Veneer.